My daughter and I are reading Shakespeare’s Hamlet together. I did not read this play in school (why, I do not know- but I did read other Shakespeare). It is at times hard to follow, and at times easy. It is considered a tragedy, yet I found several humorous takeaways. A little later in Hamlet, M and R allude to the long held belief that Christmastime is so blessed that the natural orders including animal behaviors are altered on Christmas Eve. 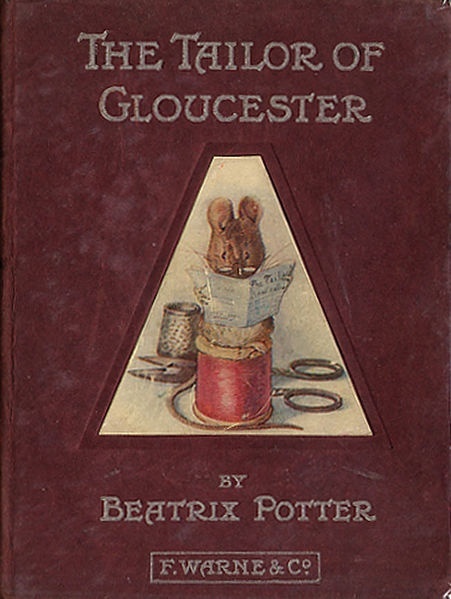 I then recalled Beatrix Potter’s The Tailor of Gloucester wherein the animals can speak on Christmas Eve.